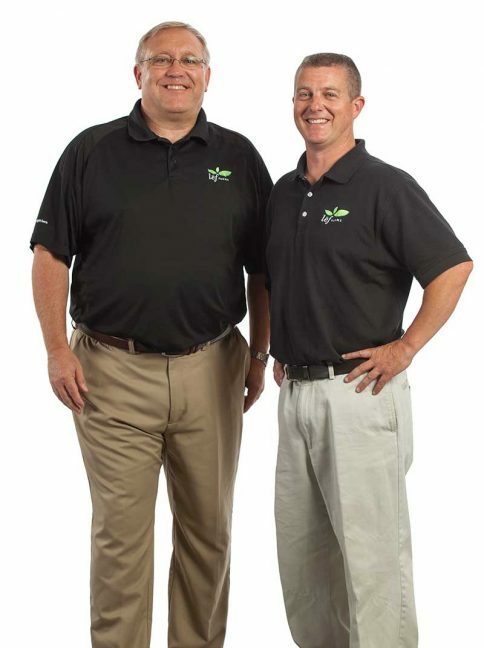 Lēf Farms (lēf stands for Let’s Eat Fresh and is pronounced “leaf”) was formed in Loudon, New Hampshire, to transform the way New England retailers and foodservice operators get their greens. 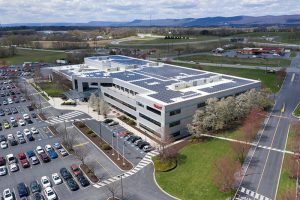 Company officials say the goal is to give customers “incredibly fresh,” tasty greens that are carefully grown nearby, “not clear across the country”—year-round. 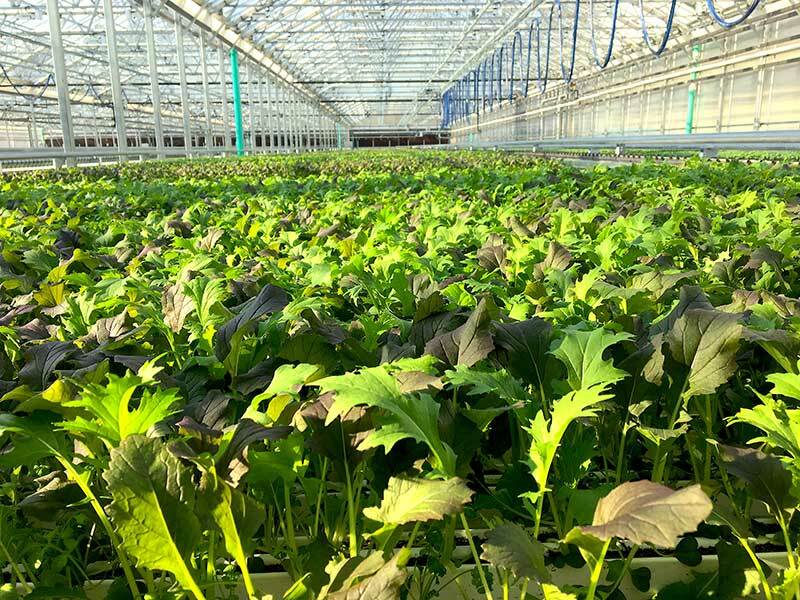 The company’s greenhouse is designed to produce nearly 1.5 million pounds of greens per year. 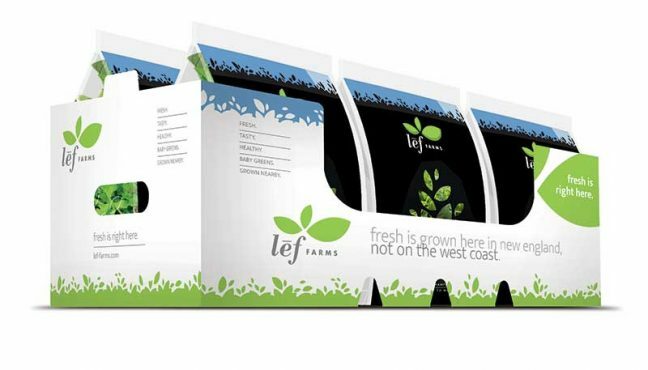 Lēf realized that businesses and their customers both want fresh, nutritious, healthy greens grown by farmers they know using a process that is transparent. More than ever, people want to trust the food they eat and the people and/or companies that supply it. CEO Henry Huntington and VP/COO Bob Ladue. 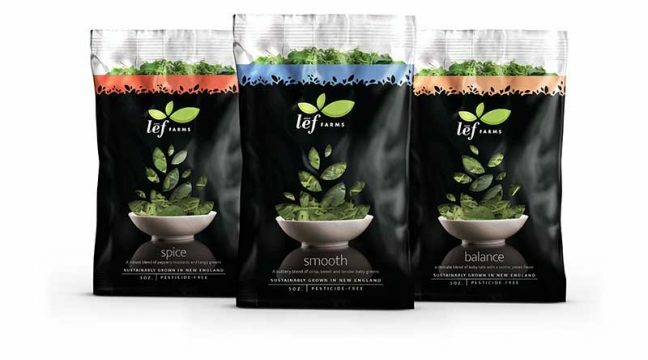 After more than two years of research and development, lēf selected, from more than 100 varieties of greens, those with the best flavor, texture, quality and unique colors and shapes, making its mixes truly different from others on the market. The greens are sold to both retail and foodservice accounts. The retail bags are exhibiting a maximum shelf life of 22-28 days; foodservice, an average of 16 days. Chefs are interested in the blends for salads, wraps, sandwiches, soups and even baking and smoothie applications, the company says. 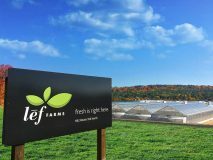 Lēf Farms obtained food certification and a “very positive” food safety audit on Dec. 22 and now is shipping out product to New England and New York customers. Where the farm and 75,000-s.f. hydroponic greenhouse facility now stand was once a plot of land considered unusable, but the company founders believed it could be used for their purposes. And they know the growing business; three generations of Huntingtons helped build the family’s Pleasant View Gardens into a successful horticultural operation in New Hampshire. 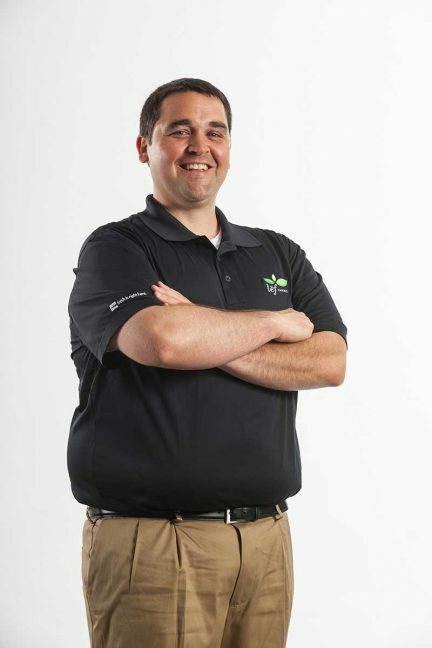 To further increase food safety, Grandmaison said the company’s 100 percent automated system, hands-free growing and cold harvest makes it so that the first hands to touch the product are those of the consumer who is preparing and eating it. The greens never touch a chlorine bath, a pesticide spray or human hands in the processing stage. “In a cooler at 35˚ F, we rapidly remove heat and lock in the fresh taste, increasing post-harvest performance, extending shelf life and preserving the deliciousness. So every bag of lēf Farms greens is as fresh, crisp and delicious on your plate as it was in our greenhouse,” said Grandmaison. The product also is produced sustainably. “We use 90 percent less water and produce 66 times more greens per acre per year than traditional lettuce farming,” he said. The greens are used for wraps and salads, and some greens can be used for garnish and soups. • Smooth: A buttery blend of crisp, sweet and tender leafy greens. • Spice: A blend of peppery arugula, mustard, cressida, mizuna and leafy greens. • Balance: A blend of red and green kale that can be used for garnishes and soups and that contains a balanced amount of minerals, nutrients and vitamins. Since the Dec. 22 certification, lēf officials have been meeting with distributors and retailers and are filling orders and producing daily on a small but soon-to-be-expanding scale. *Editor’s note: This story also appears in the [email protected] feature, published monthly in the print editions of The Shelby Report and The Griffin Report of the Northeast.